Effective 1/1/2014, Medicare stopped paying for long-term care in the United States. This came as a result of the Affordable Care Act. Now paying for long-term care is considered “Private Pay”. That means that the government is no longer responsible for the long-term care expenses of the citizenry. It is up to the individual and their family to pay for all long-term care expenses. That being said, there are some limited options and/or strategies for paying for long-term care. Aid and Attendance Benefit: It is need-based for veterans and their widows. You can get up to about $1800 a month towards the cost of long-term care. The beneficiary can have no assets and need to have served during “wartime”. California Long Term Care Insurance: Many who worked in the public sector in California, i.e. firefighters, teachers, police officers, elected officials, etc., usually have this long term care benefit within their retirement package. It was usually negotiated by their Union. It can usually cover between 35% – 100% of the expenses of long term care. Also the facility needs to be a participant with the CalPers program. Only RCFE facilities of 10 or more residents are eligible. Pacific Pines participates in the CalPers program. For those that worked in the private sector and held top positions at large corporations, i.e. CEO and other Chief Officers, Vice Presidents, Presidents, Chairman of the Board, usually have this benefit as part of their retirement package. It usually covers 100% of the long term care expenses. Assisted Living Waiver: This benefit is thru the California office of Medi-Cal. It is for Ultra-Low Income Elderly Residents. It is a small program. Only about 2500 participants at any point in time in the entire state of California. First you need to already be enrolled in Medi-Cal and once enrolled, you can apply for this benefit. There is only a small percentage of facilities in California that participate in the program. 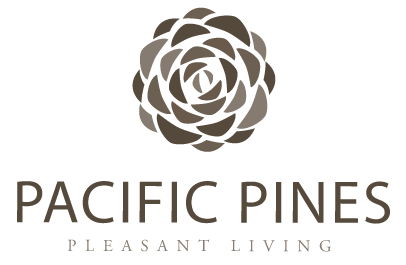 Pacific Pines (Angelus Oaks) will be approved for participation by the 4/1/2018. Real Estate Consulting: Advise and Prepare a Marketing Plan for the sale of the real estate assets. Property Preparation: Executor Real Estate can have cleaning and construction work done to the property in order to maximize its marketability and profitability of the sale. Many times the elderly person living in their private home or other real estate assets have been neglected. Therefore, the property needs to get de-cluttered, cleaned, some deferred maintenance completed and in some instances do actual property improvements. Secures Credit with Pacific Pines: Executor Real Estate will obtain credit terms for the resident and family upon admission to Pacific Pines. Sometimes the cash base of the resident and family is limited. They are unable to pay for the monthly fee associated with the long-term care expenses because all they really have the real estate asset base. Upon the advisement of Executor Real Estate and when Executor Real Estate is the company representing the property(s), they will obtain credit terms for the resident and or family. Usually, the terms of the credit are as follows, a small promissory note is made in favor of the Pacific Pines the property(s) are then encumbered with this note. So long as the property is being actively sold. Subsequently, upon the completion of the sale of the property(s), the promissory note is paid to Pacific Pines thru the escrow company. This basically allows a family short on cash to secure long-term care services for families that don’t have sufficient cash and only have the real estate asset base. Probate Real Estate – Upon the passing of the resident, it sometimes becomes necessary for the heirs to have a probate hearing in order to liquidate assets and distribute the proceeds to the heirs. Executor Real Estate has many years of experience working with Probate Attorneys and the Probate Court System in California. Executor Real Estate can even refer Probate Attorneys and Estate Planning Attorneys. Sales Management – Executor Real Estate would list the property(s) for sale on the Multiple Listing Service, market and secure a qualified buyer for the property, represent the seller(s) in negotiating the sales price with the prospective buyers and communicate with different entities associated with a real estate sales transaction such as the buyer’s realtor, title company representative, escrow officer, notary, etc. They would manage all aspects of the sales process from beginning to the consummation.